The eight Olympic classes designs scheduled in London 2012. The Olympic sailing classes were used in the sport of Sailing/Yachting during the Olympic Summer Games since 1896. Since then, 46 different classes have been used. Over a period of more than 112 years, in a sport that uses complex technical equipment, it goes without saying that classes will be discontinued for use at the Olympics. Reasons for discontinuation of a class did vary from economical, logistical and technological to emotional and even political. Some of the discontinued classes remain very strong International - or National classes. Others filled a niche in a specific area like sailing schools or local club racing. Some faded away. The “Former Olympic Sailing Classes”, together with their crews form an important and significant part of the history of sailing in general and Olympic Sailing in particular. These tables give an overview of the classes and when they were used for Olympic sailing. The International Laser Class sailboat, also called Laser Standard and the Laser One is a popular one-design class of small sailing dinghy. According to the Laser Class Rules the boat may be sailed by either one or two people, though it is rarely sailed by two. The design, by Bruce Kirby, emphasizes simplicity and performance. The dinghy is manufactured by independent companies in different parts of the world, including Laser Performance Europe (Americas and Europe), Performance Sailcraft Australia (Oceania) and Performance Sailcraft Japan. The Laser is one of the most popular single-handed dinghies in the world. As of 2011, there are more than 250,000 boats worldwide. A commonly cited reason for its popularity is that it is robust, simple to rig and sail. The Laser also provides very competitive racing due to the very tight class association controls which eliminate differences in hull, sails and equipment. 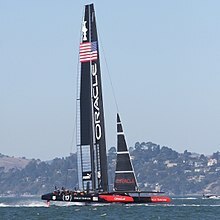 The term "Laser" is often used to refer to the Laser Standard (the largest of the sail plan rigs available for the Laser hull). However, there are two other sail plan rigs available for the Laser Standard hull and a series of other "Laser"-branded boats which are of a completely different hull designs. Examples include the Laser 2 and Laser Pico. The Laser Standard, Laser Radial and Laser 4.7 are three types of 'Laser' administered by the International Laser Class Association. Torben Schmidt Grael (born July 22, 1960) is one of the most well known Brazilian sailors, renowned in international competitions. A descendant of Danes, he was taken sailing by his grandfather at five years old on the sailboat Aileen, of the 6 meter class, which was the boat used by the silver medal winning 1912 Summer Olympics Danish sailing team. Once he moved to Niterói, he started sailing with his brother, Lars Grael, also an Olympic medal winner, on the Bay of Guanabara. Nicknamed Turbine for his fame in conducting sailboats, he collected five Olympic medals, four of them in the Star class. He is the Brazilian with the highest number of Olympic medals, and holds the highest number of Olympic medals in sailing, although Paul Elvstrøm has four gold medals (winning them consecutively from 1948 through 1960), and is Grael's own role-model. He also placed first place in many World, South American and Brazilian championships in several categories. His first-mate is usually Marcelo Ferreira. Grael has also sailed in other international competitions including the 2005-06 Volvo Ocean Race as skipper of the Brasil 1 team, the first 100% Brazilian outfit to enter the competition, which finished third overall. He would win the next Ocean Race, but this time as the skipper of the Swedish team Ericsson 4 (he won the race with two legs to spare). In October 2008 the yacht Ericsson 4 officially travelled 596.6 nautical miles in 24 hours, establishing a 24 hour monohull record. Skipper Torben Grael and his crew made the record on the first leg of the 2008-2009 Volvo Ocean Race. They sailed Ericsson 4 hard as a strong cold front hit the fleet, bringing winds approaching 40 knots, and propelling the yacht at an average speed of 24.8 knots. The most successful sailor is Ben Ainslie with a total of four consecutive gold medals and one silver. Throughout history sailing has been instrumental in the development of civilization, affording mankind greater mobility than travel over land, whether for trade, transport or warfare, and the capacity for fishing. The earliest representation of a ship under sail appears on a painted disc found in Kuwait dating to the late 5th millennium BC. Advances in sailing technology from the Middle Ages onward enabled Arab, Chinese, Indian and European explorers to make longer voyages into regions with extreme weather and climatic conditions. There were improvements in sails, masts and rigging; navigation equipment improved. From the 15th century onwards, European ships went further north, stayed longer on the Grand Banks and in the Gulf of St. Lawrence, and eventually began to explore the Pacific Northwest and the Western Arctic. The ISAF officially includes the following seven categories of sailing classes. Dinghy Finn x Singles 16ª cons. 49er x 2 4ª cons. 470 x x 2 10ª cons. Laser x Singles 6ª cons. Laser Radial x Singles 2ª cons. Windsurf RS:X x x Singles 3ª cons.